As a Mortgage Alliance professional, I can provide you the options and expertise to get the Right Mortgage for your immediate and future needs. I work for you to provide unbiased guidance in your mortgage decision – and with access to over 40 lenders (some offered exclusively through brokers) you have unmatched choice and convenience! Skyrocketing energy and maintenance costs. “But that is the actual removal and replacement only – there is nothing in there related to additional security costs or relocation costs for residents,” says structural engineer Sally Thompson. John Lancaster begins a series Monday at 5 p.m. and 6 p.m. on CBC News Toronto, and Mary Wiens on Metro Morning, about the city’s glass-walled condos — their short-term durability and their long-term costs. “We don’t have energy-efficiency ratings on condominiums and that’s too bad, because we get them on dishwashers, refrigerators, and they only cost a few hundred dollars,” said Ted Kesik, a professor of building science at the John H. Daniels faculty of architecture, landscape and design at the University of Toronto. “People talk that they want it, but when it comes down to what it’s going to cost them, it doesn’t even come into the equation,” says Pynn, whose Simerra Property Management company manages 250 condos across the GTA. Jan. 17 (Bloomberg) — Kevin Lau, a Toronto-based technology consultant, says he can’t wait to take advantage of the lowest mortgage rates in Canadian history to buy a second condominium and rent his current home. Lau, 28, plans to get another mortgage and refinance his C$160,000 ($157,000) home loan after Bank of Montreal, Toronto- Dominion Bank and Royal Bank of Canada cut borrowing costs last week. Banks are competing to offer mortgages at rates as low as 2.99 percent as their funding costs drop on investor demand for the relative safety of Canadian bonds amid Europe’s fiscal crisis. That’s fueling real estate purchases, potentially inflating a housing bubble and adding to record household debt, which the International Monetary Fund says poses a risk to the nation’s economy. Credit easing by central banks and commercial lenders around the world is sparking a household debt surge in haven countries such as Canada and Norway, which escaped the last housing crisis by steering clear of subprime mortgages that escalated the U.S. slump. The Bank of Canada today kept its benchmark lending rate at 1 percent, extending a record period of unchanged rates to counter economic risks posed by Europe. The central bank will probably maintain the key overnight rate at 1 percent until the first quarter of 2013, according to forecasts from economists compiled by Bloomberg. At the same time, record-low bond yields have prompted the country’s commercial lenders to drop mortgage rates to entice borrowers ahead of the spring home-buying season. Canadian bonds have rallied as investors are drawn to the country’s AAA rated debt after France, Spain and other European nations were downgraded by Standard & Poor’s. Bank of Montreal, Canada’s fourth-biggest bank, dropped the rate for a five-year fixed-rate mortgage by 50 basis points, or 0.5 percentage points, to 2.99 percent on Jan. 12, the lowest in its 195-year history. Toronto-Dominion and Royal Bank, Canada’s two-biggest lenders, followed suit the next day with the same rate on a fixed four-year loan. Canadian Imperial Bank of Commerce, the fifth-biggest bank, matched the offers yesterday. “This type of pricing obviously makes headlines, so you’re starting to see other lenders now jockeying for position,” Rob McLister, a mortgage broker who runs the Canadian Mortgage Trends website from West Vancouver. The heads of Bank of Montreal and Royal Bank warned as recently as last week that housing markets in Toronto and Vancouver are at risk of a correction, particularly for condominiums. “Investor-owned condo properties have got to be a cause for concern, just because of supply and demand,” Bank of Montreal Chief Executive Officer William Downe said Jan. 10 at a banking conference in Toronto. Royal Bank CEO Gordon Nixon said “there’s no question” that the condo markets in Vancouver and Toronto are the most vulnerable in the country. Canadian home sales last year increased 9.5 percent to C$166 billion, the Canadian Real Estate Association said yesterday, as home prices rose 7.2 percent. Toronto-Dominion Bank estimated in a Dec. 22 report the average Canadian home is overvalued by about 10 percent. The average resale price rose 0.9 percent in December from a year earlier to C$347,801, the smallest monthly increase since October 2010, the real estate group said. Other reports last week showed strength in the housing market, with new home construction increasing 7.9 percent in December and residential building permits rising 6.9 percent in November. 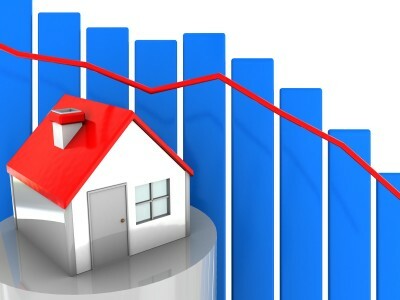 Canadian home prices fell by 8.5 percent between August 2008 and April 2009, but have since increased by 22 percent, according to the Teranet Home Price Index. By comparison, U.S. home prices fell by 33 percent between July 2006 and March 2011, and have since increased by 1.9 percent, according to the S&P/Case-Shiller Composite-20 Home Price Index. Mortgage rates have also plunged in the U.S., with the average rate for a 30-year fixed loan dropping to 3.89 percent last week, the lowest in records dating to 1971, Freddie Mac said in a statement. “While the expectation is that housing will stay strong, it could slip out of control if the Canadian economy’s growth falters due to a new U.S. recession,” said Scott MacDonald, head of research for MC Asset Management Holdings LLC in Stamford, Connecticut. Canadian household debt rose to a record 153 percent of disposable income in the third quarter of 2011 as borrowing increased, Statistics Canada said Dec. 13. That contrasts with 146 percent in the U.S., and a projected 204 percent this year for Norway. Norway, whose oil wealth is attracting investors to its government bonds, may suffer a collapse in its housing market that would be “dangerous” to the economy, Robert Shiller, the co-creator of the S&P/Case-Shiller home-price index said Jan. 12 in an interview in Copenhagen. “It looks like a bubble to me, so the collapse of that bubble, that’s dangerous to any economy,” said Shiller, who is also an economics professor at Yale University. The Bank of Canada said last month that consumer debt is the main domestic risk to financial stability, predicting the burden will keep setting records as income growth lags behind borrowing. Finance Minister Jim Flaherty tightened lending rules a year ago, shortening the maximum amortization period for government-insured mortgages to 30 years from 35 years, and lowering the maximum amount homeowners can borrow against the value of their homes. He may be forced to take additional steps to ensure banks don’t bloat household debts that are threatening the recovery, said King at Bank of America. The IMF agrees, saying Canadian authorities may need to take more measures to rein in household debt, which along with high house prices pose a risk to the nation’s economy. “Adverse macroeconomic shocks, such as a faltering global environment and declining commodity prices, could result in significant job losses, tighter lending standards, and declines in house prices, triggering a protracted period of weak private consumption as households reduce their debt,” IMF staff wrote in the annual assessment of the country’s economy last month. The commercial banks say the low rates are a reflection of falling bond yields, and will help consumers pay off debt faster. The 10-year yield touched 1.837 percent on Dec. 16, the lowest level in data compiled by Bloomberg going back to 1989 as Europe’s crisis drives demand for Canada’s AAA rated bonds. The premium to equivalent-maturity U.S. Treasuries is seven basis points, compared with 32 basis points on Sept. 5, the most in 2011. Bank of Montreal’s mortgage offer is limited to 25-year amortizations to ensure consumers pay off their loans faster, the lender said. About 22 percent of Canadian mortgages have amortization periods of more than 25 years, according to a survey by the Canadian Association of Accredited Mortgage Professionals. Part of Bank of Montreal’s motivation may be to reduce risks by drawing more people into fixed-rate mortgages, where the rate is guaranteed for the full term, King said. About 60 percent of mortgages in Canada are for fixed terms, according to the CAAMP survey. The remainder are adjusted and so-called variable, tied to the prime lending rate, which rises and falls with the Bank of Canada rate. Lau says he’s aware of the risks, yet can’t resist the low rates to add to his real estate investments. 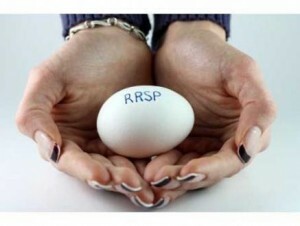 The deadline for making a 2011 RRSP contribution is February 29, 2012. Making that contribution can save you anywhere from hundreds in taxes to over $10,000 depending on your province and tax bracket. Plus, you’ll enjoy the tax-deferred long-term growth of that investment while it sits in your RRSP. The challenge for some, however, is not having enough money to make an RRSP contribution. According to Investors Group, 58% of those not investing in an RRSP say it’s because they don’t have the funds. Cash Back mortgages give you anywhere from 1-7% of your mortgage in cash on closing. You can take that cash and immediately make an RRSP contribution with it. RRSP loans are a little different. They’re basically just straight loans secured against your investments instead of your house. You can sometimes borrow more for your RRSP with an RRSP loan than with a cash back mortgage, depending on the mortgage amount and lender. Another key differentiator between these two options is the interest rate. Rates on RRSP loans currently range from roughly 3-7% depending on institution, loan size, qualifications, term, etc. That means you’ll pay roughly $200-$550 interest per year for every $10,000 borrowed. Cash back interest rates are usually 0.40% to 2.00% more than a regular fixed mortgage. That translates to about 3.60% to 5.29% today. The actual rate depends on the mortgage term, lender and cash back amount, among other things. Despite the higher-than-normal mortgage rate, people often forget that the effective rate of a cash back mortgage is substantially lower. That’s because the lender is handing you cash up front, which reduces your overall borrowing cost. In fact, for large mortgage amounts and shorter terms, you’ll occasionally find effective rates that are actually lower than a regular mortgage. Once you solidify your interest rate, you’ll need to determine your payback period. In other words, how long will it take you to repay the money borrowed for your RRSP contribution? Key Point: RRSP loans are meant to be short-term. That can’t be stressed enough. Otherwise, the borrowing costs eat up the gains. Even if you’ve used a cash back mortgage and amortized your RRSP contribution over 25 years, you absolutely and unequivocally need the discipline to pay back the RRSP portion quickly (usually within 1-3 years, depending on the rate, RRSP return, amount of tax refund, etc.). With the interest rate and payback period determined, you can then compare the interest cost to your gain. That gain includes both the RRSP tax deduction and your projected investment growth. This, in part, will confirm if borrowing for your RRSP is worth it. Before we wrap things up, it’s worth mentioning one other alternative to a cash back mortgage: a regular refinance. Rates on a regular refinance are generally (but not always) less than the effective rate of a cash back mortgage. But a refinance comes with issues of its own. Need enough home equity to refinance. Whether RRSP borrowing (of any kind) is right for you depends on your tax bracket, contribution room, ability to handle more debt (even if short term), risk tolerance, time till retirement, and likely payback period, among other things. An independent financial advisor or accountant are good sources to help you sort it out. The fourth quarter earnings season brought good tidings to certain banks, including TD and RBC who saw profits double. In the Big 6 banks’ lending segments, however, many continued to report declining loan margins as Canada’s low rate environment persists. The Canadian Government has recently implemented new real estate rules for home buyers every Canadian should learn about and understand. These new rules are designed to discourage potential home buyers from acquiring a mortgage they could never afford to repay in the event there was an increase in interest rates. Finance Minister Flaherty announced Canada will stop supporting mortgages that have an amortization period of more than 30 years. The government will be reducing the maximum amortization period from 35 to 30 years for government-backed insured mortgages that have loan to value ratios over 80 per cent. The reason for the reduction is to make it easier for mortgage holders to pay off their household debts earlier and reduce the interest on their loan amount. The most significant part of the new rules is they only apply to buyers requiring government-backed mortgage insurance. Mr. Flaherty also announced the Federal Government will be reducing the maximum borrowing amount for refinancing mortgages from 90 per cent to 85 per cent of the value of the home. As well, Mr. Flaherty declared the government will be withdrawing government insurance backing on home equity lines of credit (HELOC). Regarding mortgages for first time buyers, it will not matter what mortgage rate you select since borrowers will have to meet the requirements for a five(5)-year fixed rate mortgage. As a result, if interest rates increase, the rule will prepare borrowers for the higher rates. If you are a first time borrower, it will be much more difficult to qualify for a mortgage. First time home buyers will have to make some personal financial changes before they apply for a mortgage. For instance, they will have to pay off outstanding debts such as credit card bills and personal loans. Creating a monthly budget will help teach people how to live within their means. Learning not only how to pay off outstanding debt, but also how to reduce monthly expenses is very worthwhile for developing a long term plan of proper fiscal money management. It can be very helpful to work with a credit counsellor to help establish a sustainable budget and develop a plan to pay off outstanding debts and not incur any additional debt in the future. The decline in the economy these past few years has a tremendous impact on millions of Canadians. For many people, it has become very difficult to manage their debt and save for their future. The Canadian Government’s changes to the mortgage insurance guarantee will go into effect March 18, 2011. The withdrawal of government insurance backing on home equity lines of credit will go into affect April 18, 2011. The Government says the changes are being implemented to help Canadians manage household debt more effectively and improve their financial situation for retirement. The best thing potential first time homebuyers can do is make the essential financial changes now that will teach them better money management so they will be prepared to add a mortgage to their debt. Canada recently enacted a new anti-spam law called Bill C-28. It’s expected to come into force later this year. Proponents say C-28 will lighten the spam load on all of us. At the same time, it could turn many businesspeople into spammers themselves! As a mortgage broker in Toronto, for example, it’s not uncommon to send out e-mails or newsletters to current or former clients. In some cases, you may not have had contact with a client for years. If that kind of scenario applies to you, C-28 will change your email habits. For brokers, mortgage specialists and lenders, it pays to know the implications in advance. Royal Ascent was granted in December and it’s anticipated to come into force in late summer/early fall. The bill is broadly-defined to include all commercial electronic messages, which include email, SMS text, sound, voice or image messages. “It’s going to have a significant impact on the mortgage broker side of things, but also for anybody who sends messages that have a commercial purpose, in whole or in part,” said Nicole Kutlesa, a senior associate with Osler, Hoskin & Harcourt LLP in Toronto. If you have an existing business relationship with a client (eg. you’ve sold them something or have brokered their mortgage), you are permitted under this legislation to send commercial electronic communications to that person for the duration of the working relationship, even if the messages are unrelated to the deal. For brokers, Kutlesa said the business relationship would last for the duration of the mortgage term, as long as it’s not renegotiated early elsewhere. At the end of the business relationship, you still have up to two years to send them commercial communications without the need for further consent. By the end of the second year, however, you’ll need the express consent from that client that they want to continue receiving your communications. The exception is when you’ve engaged in another commercial activity with that client, in which case consent can be implied under the legislation. Kutlesa said this can be done in the form of a check-box embedded in the communication, though it’s important the box is left blank until it is checked by the client (hence the “opt-in” criteria). What’s important in all cases is that the communication you send, be it an e-mail, e-newsletter or other electronic marketing material, needs to identify yourself, include contact information (which must be valid for at least 60 days after the message was sent) and an unsubscribe mechanism in accordance with the legislation. “It’s very serious because the penalties under the statute are significant,” Kutlesa said, referring to the maximum fines of $1 million for individuals and $10 million for companies found in violation of the law. On top of that, the bill allows for both a private right of action (if there have been losses or damages as a result of an unsolicited message), as well as directors and officers liability. While Kutlesa says the intent of the legislation is to crack down on real spammers, she said that doesn’t mean the enforcement authorities wouldn’t be willing to make an example of a legitimate company in violation of the legislation. On-going client support – you can continue to send communications that provide notification or factual information related to an existing client’s account. Inquiries – if you receive an inquiry from someone seeking information or an estimate, you are permitted to respond. Business cards – if someone has handed you their business card, which discloses their e-mail, you can send them communications relevant to their business role provided they have not otherwise indicated they do not wish to receive unsolicited messages. Family – communications may be sent to people with whom you have a personal or family relationship, which is expected to be defined in the regulations to include family and friends. The bottom line is companies are going to have to go through their databases of contacts and in many circumstances may need to get any previous clients to expressively opt in if they want to continue marketing to these contacts, Kutlesa said. She added that it’s likely companies will lose some contacts as not everyone will take the time to give their consent or may simply decline. Rebecca Chan, a partner with Borden Ladner Gervais LLP, is also fielding a lot of questions about the new bill and recommends companies start preparing sooner rather than later. Chan noted that the process will likely need to be sorted out with internal or external IT providers, which is why she recommends companies get an early start. If you’re in the market for a mortgage, a car loan, or looking to rent an apartment, it may be time to check your credit score. A credit score is an ever changing three-digit number between 300 and 900. The higher your number, the more likely you are to be approved for a loan or to negotiate a preferred interest rate. If your credit score is low, you may pay higher rates or be denied credit based on the lender’s criteria. Check out the 5 Minute Guide to Your Credit Report and Credit Score to learn how to find your score. 1. Check your credit score at BOTH credit reporting agencies. Your credit score can vary between Canada’s two major credit reporting agencies, Equifax and TransUnion. Each agency uses different credit data as well as a slightly different credit scoring model to tally your number. If you’re being denied credit, it may be that one agency is reporting differently. Checking your credit report and score at both agencies can also help you detect any fraudulent activity or possible instances of identity theft. 2. Report and correct any inaccuracies. Don’t let your credit score suffer due to inaccurate information on your file. Be proactive and protect yourself by reviewing your credit files. If you find an inaccuracy, contact the creditor or the credit reporting agency to correct it immediately. 3. Pay all your bills on time. Lenders look for patterns and love to see a solid history of paying every bill on time. Any late credit card payments, collections, or bankruptcies can significantly lower your credit score — so be punctual with each bill payment to raise your score. Check out these 5 Ways to Beat Your Credit Card Debt for some score raising tips! 4. Watch your debt. Don’t run your credit balances close to your limit! Staying below half your available credit limit can help to improve your score sooner. For example, if you have a credit card with a $5,000 limit, try to keep the balance owed below $2,500. 5. Avoid applying for credit. When you apply for credit, a “hard query” may be made to your report by the lender to check your creditworthiness. Too many “hard queries” in a short period of time can lower your score, so stick to applying for credit only when you need it. Checking your own score won’t lower your score since this is a “soft query”. Applying for a lot of credit may be interpreted as a sign of financial difficulty, which can impact your score as well. 6. Give yourself some time. Time can improve your credit score, especially if you can establish a long history of paying bills on time and being responsible with credit. Negative factors such as bankruptcies, collections, or foreclosures drop off your report after a number of years, depending on your home province or territory. 7. Don’t close old accounts. It may seem counterintuitive to us, but unused credit is a good thing in the eyes of a credit reporting agency and lowering the amount of money you can borrow relative to your debt can impact your score.